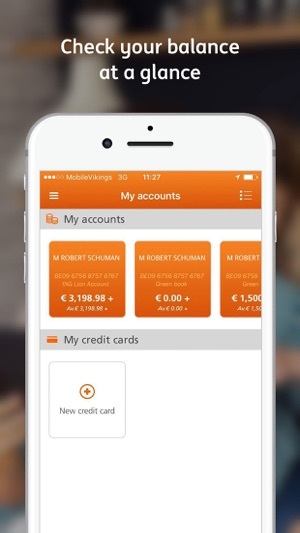 Manage your private and business accounts easily and securely via your smartphone with this banking app from ING Belgium. Discover some functionality of the app via our demo video using fictive data. Not an ING customer yet? Open your free current account directly via our app. Logging in for the first time? Create a profile using your ING Card Reader, choose a 6-digit profile code and you are ready to take advantage of all of our app’s features. Your profile code is all you need to log in and sign your transactions. And if you are using an iPhone 5s or higher, running iOS 10 or higher, you can even log in with your fingerprint via Touch ID. And with Face iD on your iPhone X! • Access to your camera and photos, so you can take or upload a profile picture. 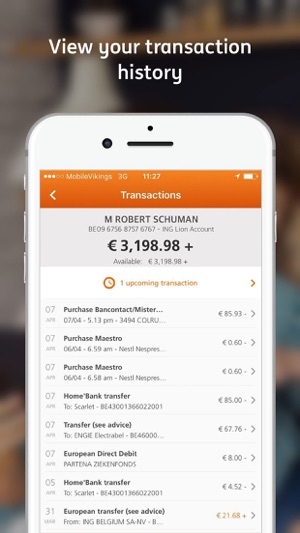 • Access to your camera, so you scan QR codes when making Bancontact payments. • Access to your location, to help you find and/or make an appointment at your nearest ING branch. • Permission to send you notifications from the app. • Check the balance and transaction history for all your current accounts and savings accounts (including those for which you have a mandate), credit cards and investments. • Rename your accounts in order to identify them more easily and have your account number sent to any e-mail address. 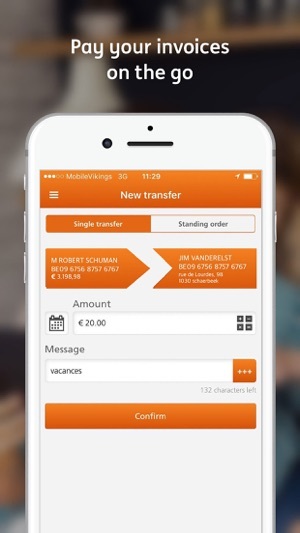 • Make transactions between your current or savings accounts, to beneficiaries saved in Home'Bank or Business’Bank or to any other Belgian account. • Check your payments with a future execution date as well as the upcoming payment of your standing orders. • Enter and sign payments requiring multiple signatures. 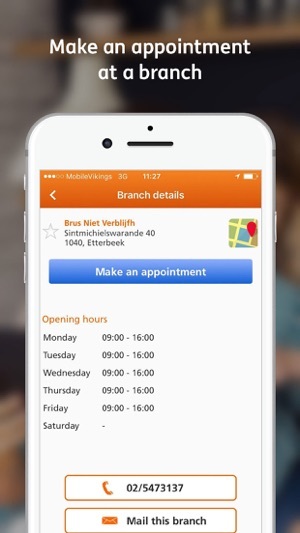 • Find your closest ING branch and make an appointment straightaway with one of our employees. • Apply for a savings account, a credit card or a pension savings plan via our app. • Pay for your purchases or reimburse friends via QR code using the built-in Bancontact/Mister Cash module. 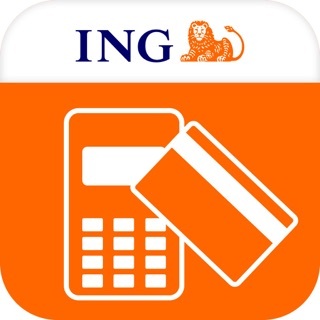 ING app takes security to a point of frustration. There are so many levels of registration and once you get through all the hoops so that you can use the application, God forbid that you wait two months before the next time you open it. They expect you to use the app daily or weekly for it to maintain a connection. My wife only uses it when she needs to know the balance. Therefore she has never been able to use this application. Every time she goes to open it, it no longer works. And I am tired of having to go back into the application and go back through the registration process to get a reset. It works fine for me because I do all the banking for our family and therefore in the application at least once a week. We use several other banking applications that do not present this issue. It works but so slow and ugly. It was a useful tool for viewing accounts without the stupid card reader system, but the functionality was limited -- you could xfer between accounts, but not pay bills. For a few days now I have been unable even to view my accounts. Why is it so difficult o make this application work?